At any rate, to any teachers out there who are thinking of listing their house during the school year, I would say, "Go for it!" IF you have at least a week's break prior to prep your house for listing. It's really not that hard to keep the house clean, once it is clean. Or at least it's only hard when you have to get it back to that uber-clean state in time for a showing. And we kept ours in that state of semi-clean-ness for almost 2 months straight! With 4 pets! So yes, go for it! Just bear in mind, you will be kissing any and all spare seconds of free time "good bye". -Try out a furniture planner site to see where your stuff will actually fit in your new house. Major reality check for me. I used HomeStyler with great success. The house listing should have dimensions for each of the major rooms to get a good floor plan built. 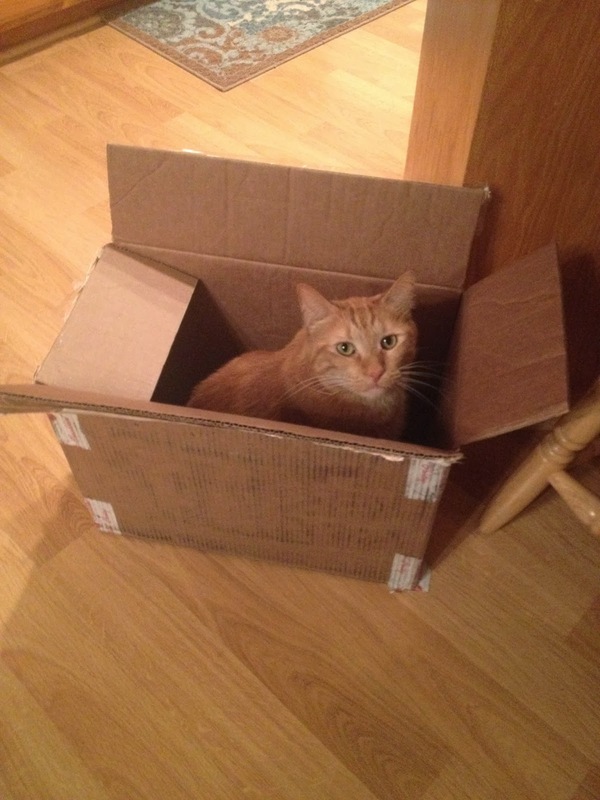 -Start packing non-essential items (like cats) first, and stuff all those boxes in the back of the garage. Make sure to label the boxes with where they are going in the new floor plan! motivated. Or you have just had the final inspection and are really excited to pull all the boxes out of their secret hiding places. -Make the kids pack their own toys. 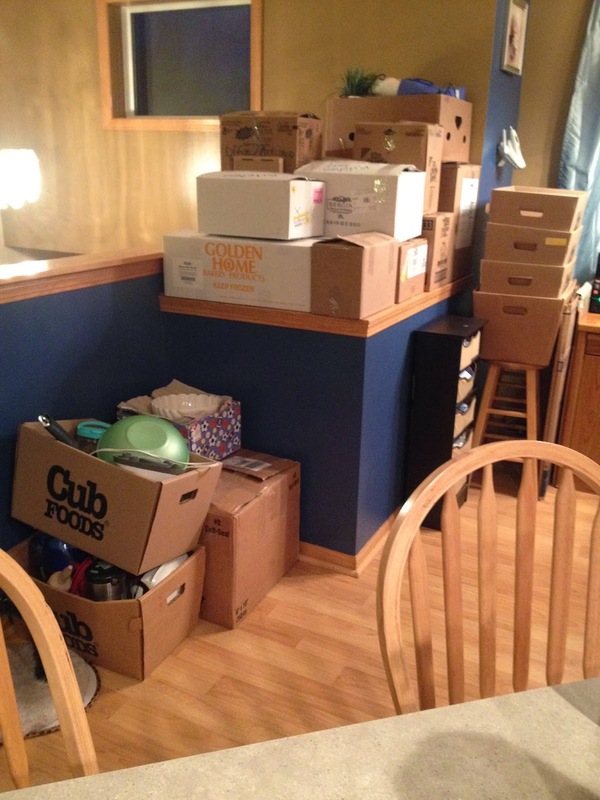 We had piles of boxes out labeled "play room" or "bedroom" or "garbage" or "donate", just like Toy Story 3. I tried really hard not to think about that movie while we worked, how many broken/worthless toys found their way into the trash. 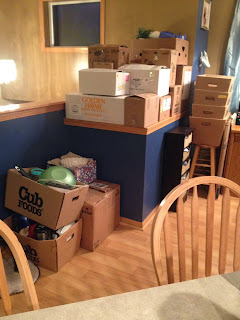 -By luck of the draw, although you may want to plan this, we had just had a ginormous garage sale a month before we listed our house, which cut back greatly on purging or packing JUNK. And that's pretty much all she wrote on that. In the month since we moved, we have settled into our old semi-messy ways, gained half an hour of sleep, eliminated a cumulative hour of driving time to work/school, and to top it all off, hung some *kind of pathetic* Christmas lights. Right before 8+ inches of snow fell. 1. Starting the process mid-year gives you extra time to migrate any saved/important emails you might need. After getting tired of logging into Outlook to reference filed emails in folders, I got smart and downloaded the "Eagle Filer" program to make copies of all my Mac-formatted emails. I now have a searchable hard-copy on my desktop. 2. Re-creating "Groups" in Google is easy, as long as you've emailed the people beforehand. Those of us on Macs have been frustrated anyway that Macs don't play nicely with Outlook Groups, so this was a nice change. 3. Re-creating "Events" in my Google Calendar was semi-easy, with an easier-to-use recurring appointment calendar... especially with the "Bulk Action Tool" Chrome App that cleans out appointments during holiday/vacation breaks. I say semi-easy because Google Events do NOT like Daylight Savings Time. Either my calendar has to be set to Eastern Time, or all my appointments show at the wrong time of day. So all my appointment bells "ding" an hour early. Fairly annoying. 4. The Google Mail interface is *pretty* :) I added a beach "theme" so every time I log into my gMail, I get a different rotating background but can still see my email on top of it. So much easier on the eyes. 5. Spam is eliminated! Once you shut off your forwarding address, all those pesky retailers and spammers are off your trail. For the time being. Give it a few years, they'll be back. 6. Ease of communicating with students who also have gMail at school. Not just via email, but also with "hangouts" and G+ and whatever other social gadgets and gizmos you want to add to your profile. Works great with Schoology too.